England has David Cameron and Notting Hill. Here in America, we have John Edwards and Chapel Hill – currently my home town in North Carolina. Both politicians affect a concern for the less fortunate. David talks of Compassionate Conservatism; John of Two Americas – the one rich, the other poor. John Edwards will shortly be announcing his candidacy for the Democratic Presidential Nomination in 2008. He will be doing so from the Lower Ninth Ward of New Orleans, the area worst affected by Hurricane Katrina. He tells all and sundry that this is reflective of his genuine concern for the poor in society. The HQ itself occupies the upper floor of what can only be described as a luxurious faux rendition of the sort of Mediterranean villa you might find in the smarter parts of Palm Beach, Florida. The moral, I guess, is: beware politicians who affect concern for an issue, but then have a lifestyle that belies that affected concern. We have an abundance of that in Chapel Hill, where the ‘progressives’ tend to be what we call Merlot Democrats. There used to be an equivalent in England – the Glenda Jackson, Hampstead set of Champagne Socialists. Have they been overtaken by the Cameron, Notting Hill set of Beaujolais Tories? I’m not surprised that Tony Blair halted the investigation of the Serious Fraud Office into BAe bribes associated with Al Yamamah, the $150 billion arms deal between Great Britain and Saudi Arabia. The only thing that surprises me is that no-one asked if it might have been because the SFO were about to discover that New Labour, like the Tories before them, were benefiting from BAe’s largesse. What do we all think Tony’s right-hand man, Peter Mandelson, was doing when he spent those weekends with Saudi arms middleman, Wafic Said, at his country home in Surrey? Why, the same thing that Jonathan Aitken, on behalf of the Tories, was doing in 1993, when he met with Wafic and Said Ayas, in Mohammed al–Fayed’s Ritz Hotel, in Paris – namely, carving up the Al Yamamah bribes. In December 2006, Lord Stevens published the whitewash…I’m sorry…the Report on his investigation into the death of Diana, Princess of Wales. No-one, not even Inspector Knacker, will ever know what happened in that Paris tunnel in August 1997. However, if it was not an accident, why do we all assume Diana was the target? 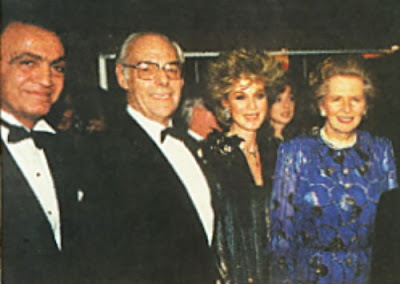 Barely a month before, Dodi’s father, billionaire former arms dealer, Mohammed al-Fayed, had promised to name all of the Arab middlemen who had done dirty arms deals with the Tories in the Eighties – deals which included huge political arms bribes. We now know, from Saudi reaction to the SFO investigation into Al Yamamah bribery, that Arabs get really sensitive when someone tries to wash their dirty arms laundry in public. 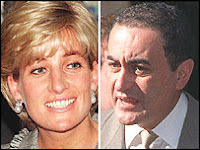 The Saudi Royal Family responded by threatening to break off diplomatic relations with Great Britain. Arms middlemen can’t do that. But to what other lengths might they have gone to shut down Mohammed…? There is an old saying in the Middle East: if you want to hurt someone, hurt the one they love. And if you want to underline the threat, send an exclamation point. There could have been no more poignant an exclamation point to the threat to Mohammed from those ruthless arms middlemen than that the collateral damage included the death of Diana. Mohammed will, of course, point the finger at anyone else – I mean, what would the great British public have to say of a man who allowed the “Peoples’ Princess” to die because of his sleazy arms past? 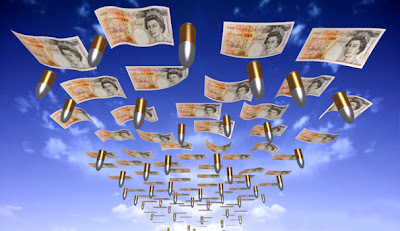 If you’ve been to my web-site about arms corruption in Great Britain, you will know that I wrote to David Cameron, leader of the British Conservative Party, before their annual conference in October 2006, challenging him to come clean about arms corruption in the Conservative Party. My concern is not limited to the actions of past Conservative Governments. I am troubled that David has made important appointments, to sensitive positions in both the Party and his Shadow Cabinet, which suggest that he will allow arms corruption to flourish once again, when he becomes Prime Minister. 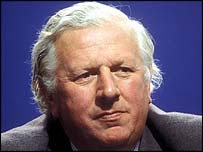 Ian (Lord) Gilmour, a former Secretary of State for Defence under Margaret Thatcher, and a former Member of Parliament for Amersham (the Parliamentary constituency immediately to the north of Beaconsfield), has already admitted on BBC Newsnight that Britain’s arms sales to Saudi Arabia were founded on bribery. Ian knew Simmonds well. Hated him, because they had different views on Europe. But knew him nevertheless. Knew me too. But I don’t know what he thought of me. Notwithstanding the fact that I received national press attention when I opposed his appointment as President of the National Young Conservatives. The important question is, along with knowing about arms corruption in general, did Ian know about Simmonds’ role? Another port of call when I return to England. Unless, Ian, you’d like to save us all the trouble…? 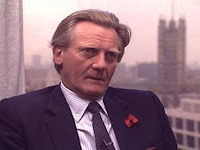 A journalistic source confimed to me that Michael Heseltine knows all about arms corruption in the Conservative Party. I pushed the issue in Dead Men Don’t Eat Lunch. And then in correspondence with Michael, after Dead Men was self-published. We played some verbal gymnastics. Suffice it to say, that as of writing, Michael has agreed that what I have said about him may stand, and that the allegations in Dead Men are true. Bless him. Of course, Michael not only knows all about arms corruption. He also knows all about trees – having one of the best-stocked private arboretums in England. The Tories know a bit about trees too, having just chosen one to be their new logo. 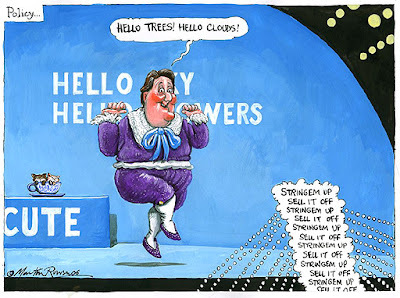 In fact, what is it with Tories and trees at the moment? It’s all a bit creepy. Wasn’t it one of the late Spike Milligan’s comic characters who sang, “I talk to the trees; that’s why they locked me away…”? Does Liam Fox know the truth? You know Liam. Current Conservative Shadow Secretary of State for Defence (the Government Department which oversees the D-Notice program). Came within a whisper of being Cameron’s sole opponent in the run-off for the Conservative leadership in 2005. What you may not know is that Liam spent some time in the Beaconsfield Parliamentary Constituency, playing politics, before he got his own safe Conservative seat in Woodspring. He was on the Beaconsfield Town Conservative Committee, and still lists his membership of the Beaconsfield Conservative Political Discussion Group in his bio details. Well. He did. Until I brought it to his attention. And then he removed mention of it. So why would Liam be embarrassed about his Beaconsfield Conservative connection? One of my next ports of call was the New Labour government in 1997. I wrote to Tony Blair asking if he had anything he’d like to add about this alleged deal involving GEC (UK) engines. Among a number of interesting responses, the most amusing was from one ‘D. Walters,’ in the Foreign Office. You’ve got to love the remnants of the British Empire. While the rest of us have moved on, and generally refer to each other by our first names, the old public school boys still affect the last name and initial salutation. Bless them! Anyway, ‘D.’ responded by saying that as far as the New Labour government was concerned, there never had been any sales of dual-use technology to Iraq. I creased up. And then got onto the UK Parliament web-site, to start counting the left-wing Labour MPs who would probably have had seven kinds of conniption if they knew what was being claimed as their government’s standing policy on the subject. I got as far as 171 before I lost interest…! One of the first high-profile protagonists in this saga from whom I sought comment was Jim (Lord) Prior, back in 1996. He was at that time Chairman of GEC (UK). Jim had been Margaret Thatcher’s first Secretary of Employment, and a leading ‘wet’ – if any of you out there remember that phrase from the grave! My odyssey through the back-corridors of arms corruption in Westminster and Whitehall brought me, of all places, to a strange Italian bank, with a branch in Atlanta, Georgia – the Banco Nazionale del Lavoro (BNL). In 1993, the manager of that branch, one Christopher Drogoul, was convicted of running a fraudulent scheme, under which he had illegally loaned some $5 billion to both US and UK companies, allowing them to export dual-use technology to Iraq, for the latter to use for military purposes – in both of the Gulf Wars in which US and UK military personnel lost their lives. I spoke with Chris in 1996. He confirmed that he knew the name ‘Simmonds,’ and recalled it in connection with a deal in 1986 to sell GEC (UK) engines to Iraq – which deal BNL had financed with a Letter of Credit, issued to the Central Bank of Iraq, in the sum of $28 million. My source in Israeli Intelligence confirmed that same deal to me. He stated that the engines were to be used to extend the range of Iraq’s Scud-B missiles. And that it was his understanding that, once Simmonds had laundered the proceeds, the ultimate beneficiary of the deal would be the Thatcher family. He would be no more specific than that. I wrote to Jim Prior asking for his comments. His reply was a model of the dissemble which helped both to build the largest Empire the world had ever known – and then to lose it (along with the Ashes…). It was a very short letter. The first paragraph stated that Jim thought it highly unlikely that there would be such a deal involving GEC (UK) engines. Mind you, he didn’t outright deny it. I still can not help but wonder if we’re talking about meeting at the Henley-on-Thames Annual Ladies Knit ‘n Bar-B-Que – or when Jim, Hugh and the boys from dispatch were loading the warheads onto the back of the flatbed…?